Guajome Park is located in Oceanside, 40 miles north of San Diego. 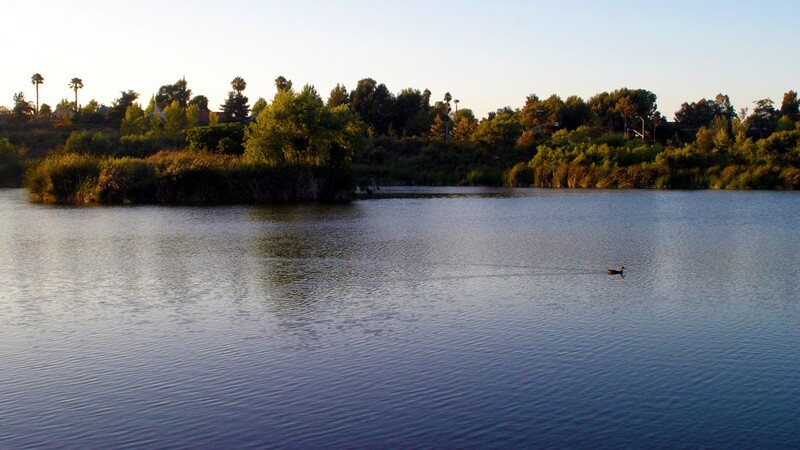 Within the park are two small ponds, the shorelines are lined with tules and reeds, offering minimal fishing access. It is primarily a recreational park for camping, hiking, and picnicking and is more scenic than serviceable. Still, there are bass, bluegill, and channel catfish in the ponds and those can be caught if you can find an area to make a cast. Guajome Park is rich in history, with evidence of early Native American and Anglo-Hispanic settlers. The park houses a historic adobe ranch house built in the 1850s. It was purchased by the county of San Diego in the early 70s, and they established a regional park there at that time. Guajome Park is open daily for fishing, camping, hiking and other day use activities. No permits are required to fish the lake, however a California State Fishing License is required for all anglers 16 years of age or older. Guajome is operated by the county of San Diego, you can find out more about the park and fees for camping and other activities via their official Guajome County Park page.